Poets and writers throughout the centuries have churned out volumes explaining what "love" is and what it isn't, but we all have a few quotes that stay with us, long after the book has been put down (or the browser tab has been closed). If you've got love on the brain ahead of Valentine's Day next week, then perhaps this one by French author Antoine de Saint-Exupéry (best known for The Little Prince) is worth pondering: "Love does not consist of gazing at each other, but in looking outward together in the same direction." There's quite a big grain of truth in it, too. Studies have shown that couples who go on adventures (whether it's taking trips across borders or trying out new types of foods) together often report having happier, more satisfying relationships. So, if you want to spoil your special someone, why not plan a little adventure around Johannesburg this Valentine's Day? This is a fun Valentine's Day idea for any couple, whether you're a pair of history nerds who want to take a thought-provoking trip through time at Constitution Hill, or you'd like to take in the striking views from the top of Carlton Centre, Africa's highest building. Johannesburg is Africa's most visited city and you'll soon discover why. 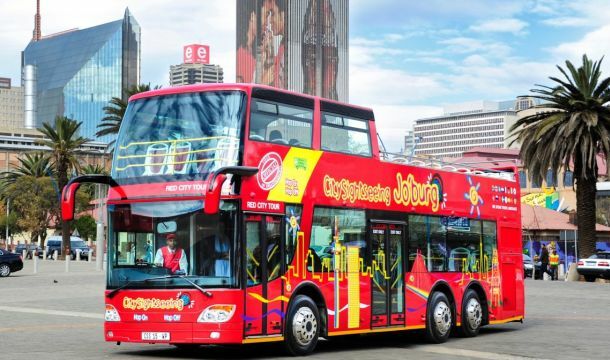 Incidentally, this bus also stops off at the SAB World of Beer, and if you want to celebrate the day with suds, this popular Joburg attraction is offering a Valentine's Day treat for couples. 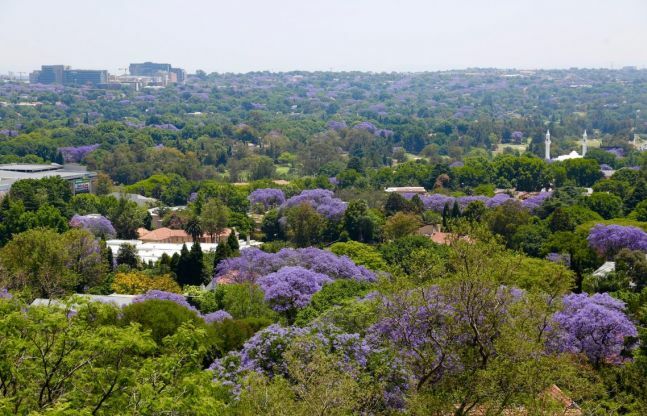 The Green City Tour offers unparalleled views of Johannesburg's leafy suburbs. No, we don't have the world's "largest man-made forest", but the trees are nevertheless spectacular. A picnic at the idyllic Zoo Lake would round off your Valentine's Day adventure with a bit of relaxation. If you're in the mood to wine and dine your special someone, book a dinner or lunch at one of Johannesburg's many world-class, upmarket restaurants or hotels. 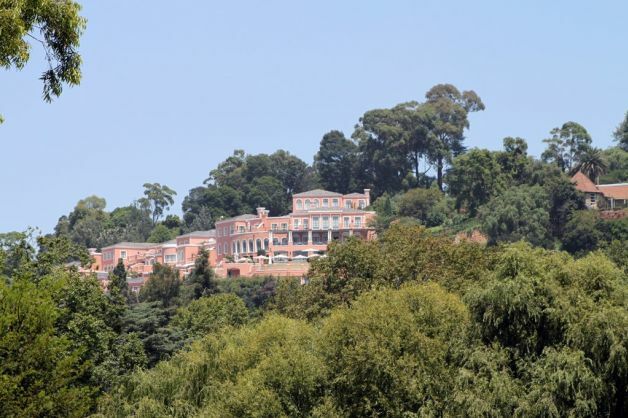 A good choice, is Four Seasons Hotel The Westcliff, which enjoys beautiful views of Johannesburg. There are few things more romantic than taking in a sunset together. 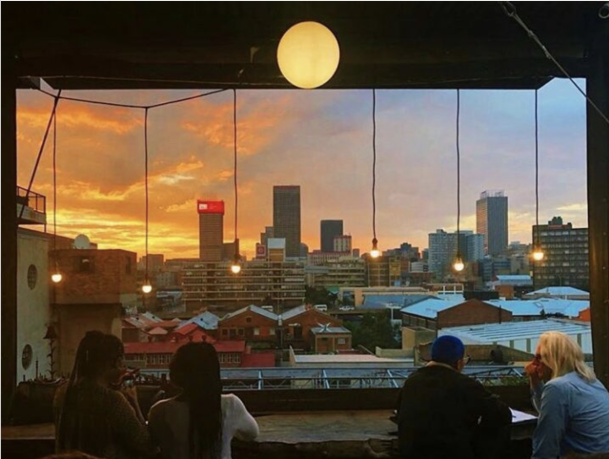 So why not enjoy a perfect Valentine's Day backdrop at The Living Room in Johannesburg's trendy Maboneng Precinct? The venue is a favoured playground for the young and the young at heart. It offers a vibrant social scene and a panoramic rooftop view of the city, and is sure to make your Valentine's Day a memorable one.